This is Berrimilla’s story: her first circumnavigation around Cape Horn and her contact with the International Space Station which became the inspiration for the second circumnavigation through the Northwest Passage. It is told as a series of log entries as they happened. It tells of subsequent events and travels connected with these voyages. The story continues – For the rusted on followers of this nonsense, here’s the latest playground for The Examiner: R2AK, Race to Alaska (No motor, no support, all the way to Alaska). Our logs are THERE . 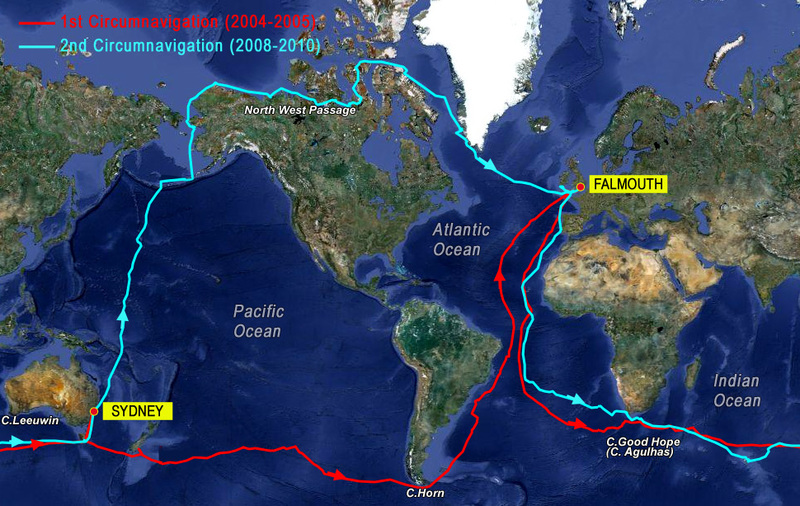 Circumnavigate the world via both Cape Horn and the North West Passage. David Scott Cowper did it first, but in different boats. 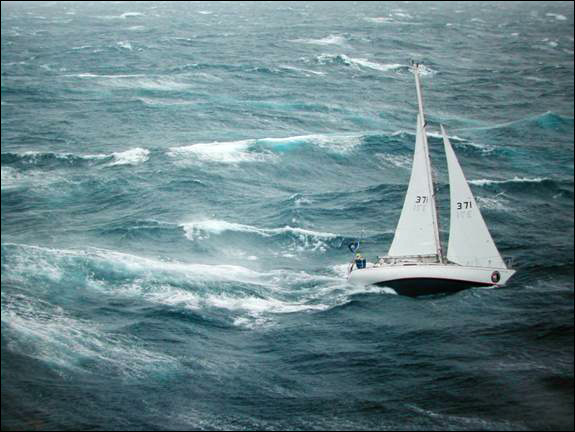 Berrimilla, a Brolga 33, kept us cocooned and safe through the worst seas we have ever experienced. The boat did everything right. She is extremely well balanced and well mannered. As long as we could get the sail off her in time when hit by strong rain squalls, Berri sailed beautifully in heavy weather with not much pressure on the Fleming self steering gear. "Lots of people have asked me why we do this. Are we mad, foolhardy, plain self indulgent or what are we trying to prove?"